After nearly a decade of presidential service at MCAD, Jay Coogan announced that he will be leaving the snowy Twin Cities this September to become president at the IYRS School of Technology and Trades in Newport, Rhode Island. Coogan's time at MCAD was very busy. He grew the endowment from $35 million to $56 million, doubled scholarship and financial aid for students, added the new media facility M/Lab, began the entrepreneurial program E/Lab, added product design to the college, and also introduced four new minors (art history, creative writing, engaged in public art, teaching artist). But he says what he’s most proud of has more to do with MCAD as a whole. Learning from doing, as Coogan says, is what he feels is at the core of MCAD, and something that attracted him to IYRS. But he wasn't planning on leaving. Rather, the position of president at IYRS came up “out of the blue” just this past May, said Coogan. Since it is a trade school, IYRS is more focused on “maker education," with programs designed specifically for boatbuilding and restoration, among other hands-on courses. The school is geared toward job placement post-graduation. Coogan, who is originally from Massachusetts, has a long history in Rhode Island. He went to St. George's School for high school, and then attended Brown University for college. He came to the Twin Cities from Rhode Island School of Art and Design (RISD), where he worked for 25 years. His departure will be quite a transition for the MCAD community. 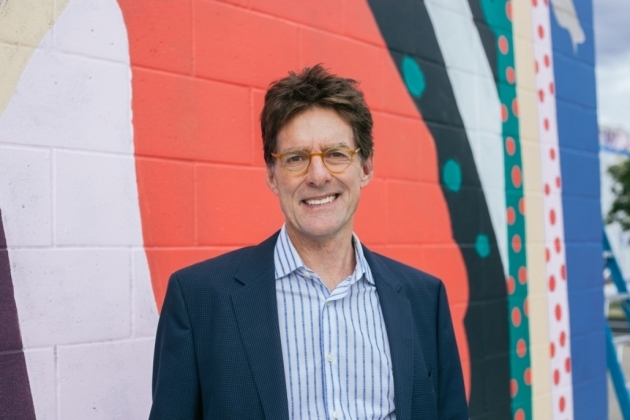 “We are incredibly grateful for Jay’s years of service—his impact on students, faculty, and staff, and the broader MCAD community—as well as his presence in the arts and cultural scene across the Twin Cities,” said Greg Heinemann, chair of the MCAD Board of Trustees, in a press statement. Being a president of an art college is a unique experience, and it means interacting with a lot of eccentric artists. One thing that MCAD has become known for is the huge annual art sale. Not long ago, word got round that Coogan bought a photograph by MCAD alum Bobby Rogers, whose portraits capture black models in noble poses. In the years since, Rogers has become well known around the Twin Cities. After Coogan takes off for the East Coast, where he claims the winters are nearly as bad as Minnesota, Vice President of Academic Affairs Karen Wirth will serve as the interim president. The board will be putting together a search committee, with the goal of bringing in a new president by June or July 2019. The search will be national/international.